Martelli was certainly never boring over a 24-year run as coach at Saint Joseph’s, and was never better than in 2003-04 when he led the Hawks to a No. 1 ranking in The Associated Press poll, a No. 1 seed in the NCAA Tournament and a run to the Elite Eight. Saint Joseph’s athletic director Jill Bodensteiner was hired last March and will make the first major decision of her tenure. Bodensteiner said it was “excruciating” to let go of a Saint Joseph’s great. Martelli set single-season and career assist marks as a point guard at Widener in the 1970s, coached high school basketball in the Philly area and joined the Saint Joseph’s staff as an assistant coach in 1985. 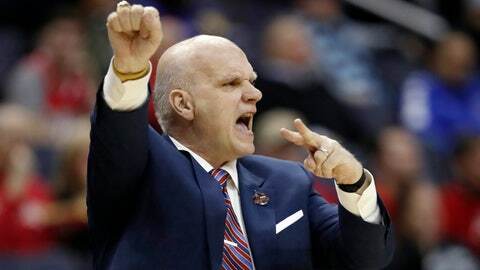 After 10 years as an assistant, Martelli was named the 14th coach of the private Jesuit school in 1995 and led the Hawks to the Sweet 16 in just his second season.